Consumers are bombarded with thousands of messages a day urging them to buy a product, change loyalties, or for vote for a candidate. Billboards peer down from the sky. Ads stare from magazine pages. Banners flash from web pages. Commercials blare from televisions and radios. To break through this jumble, advertisers are increasingly pressed to hone a better message that will reach their core consumers and influence opinions. And, they think they found it with a technique called neuromarketing. Neuromarketing is not that new, but in recent years it’s found new converts. The question facing marketing gurus is whether neuromarketing is the promise of the future or just another trend (whatever happened to subliminal advertising anyway). Neuromarketing first showed potential in a Pepsi versus Coke challenge in 2003. Neuroscientist Read Montague placed his subjects in an MRI and watched brain responses while they tasted the colas. Without knowing what they were drinking, half preferred Pepsi. But, once they were told which samples were Coke, three-fourths said that the Coke tasted better. Simply mentioning Coke not only changed the subjects’ verbal responses, but also lit up their brains. Montague concluded that years of Coke’s advertising campaigns planted positive images in the brain that overrode the subjects’ taste buds. Since then, the science of neuromarketing has evolved. Researchers are now using MRI’s and skullcap EEG scanners to peer into the deep subconscious, measuring responses to a client’s products and messages in real time. A neuromarketing firm in Berkley, California is taking the research a step further. At Neuro Focus, volunteers are plugged into EEG skullcaps and eye tracking devices. The tandem devices enable researchers to correlate eye movement with brain activity. Once research data is crunched, new commercials and campaigns can be crafted. Researchers are pushing forward hoping to discover a magic button in the brain…the “buy button”. Movie studios, television shows, car companies, and food giants are now hacking into consumers’ brains. Sometimes the findings are surprising. Frito-Lay discovered that consumers actually liked that yellow, sticky mess that Cheetos leaves behind on the fingers (sort of a guilty subconscious pleasure). So what advertisers initially thought was a product drawback actually is a new marketing angle. 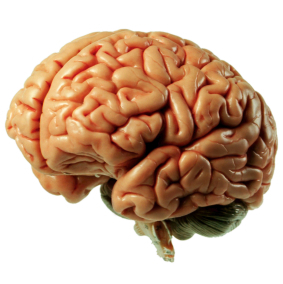 Despite the naysayers, neuromarketing is booming. Companies with new products to sell and old products to repackage are searching for next Holy Grail of advertising, looking for a new way to break through the marketing clutter.